Ariel Castro has ended his own life, apparently. Ariel Castro kidnapped three women and held them prisoner for a decade, committing horrible acts against them the entire time. As such, he deserved the 1000 years of jail time he received. However, the Cleveland Kidnapper has decided to take the easy way out. 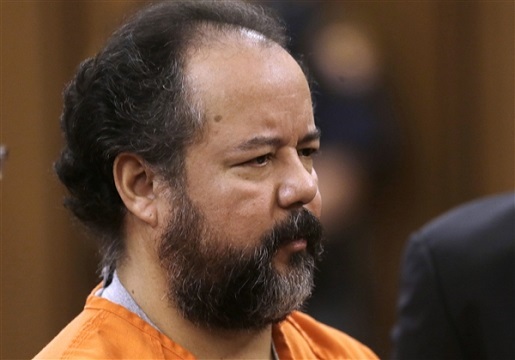 Ariel Castro is dead at age 53 after hanging himself in prison. Castro was found in his cell at the Correctional Reception Center outside Columbus, Ohio, at 9:20 PM. He was taken to a nearby hospital and pronounced dead 90 minutes later. According to Cuyahoga County prosecutor Tim McGinty, a suicide note and a confession were found in Castro’s house at the time of his arrest, so this has apparently been on the table for him for awhile. However, prosecution dismissed it as the ravings of a narcissist trying to make people feel sorry for him and blame the victims and dismissed the note. Now, unless his hungry cannibal cellmate had something to do with all this, it looks like his suicide defense might have had some validity. Though that all depends on the results of the official investigation. “A thorough review of this incident is under way and more information can be provided as it becomes available pending the status of the investigation,” said Rehabilitation and Correction Department spokeswoman JoEllen Smith.